Ahead of the launch of their unique, 111 song, 4 volume debut album, Men, in November, Cardiff’s favourite unhinged anti-folk heroes are releasing an appetite-whetting EP, or in their words, a ‘quadruple A-side single’. 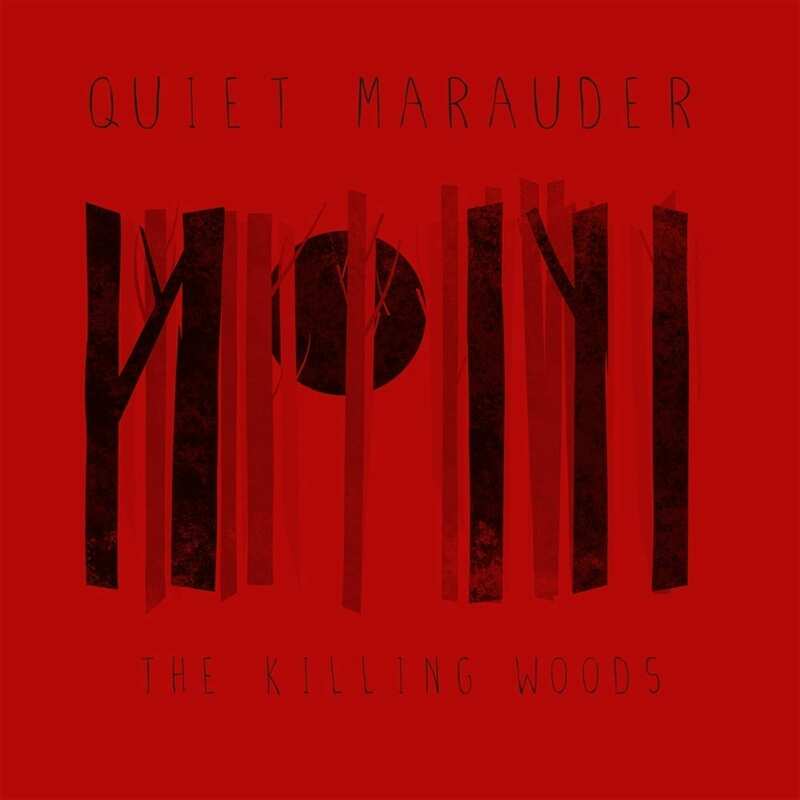 Powered by the dual songwriting engine room of Simon M. Read and Jonathan Day, Quiet Marauder are a loose collective of musicians all contributing flourishes of cornet, melodica, guitar, piano and kitchen utensil percussion. For this EP they joined forces with international bestselling and award-winning author Lucy Christopher. Her brand new young adult fiction novel, also named The Killing Woods, is a dark, psychological thriller with a global release through publishers Chicken House. The songs forming this EP were written and recorded during Lucy’s own writing process and helped to inform the atmosphere and tone of the novel. Likewise, the novel itself helped to inspire these four songs in a symbiotic, creative meeting of minds. Murderous, threatening and endlessly sinister, The Killing Woods EP showcases Quiet Marauder at their very darkest, incorporating the skills of the incredible Hail! The Planes for final track The Game.